I know I haven't been posting as regularly- and I keep meaning to! I have so many recipes, product reviews, updates etc for you guys! 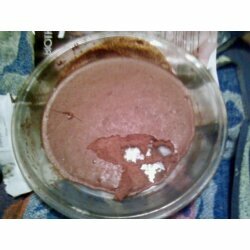 I am adding another quick "Protein Chocolate Cake" recipe. I used my normal microwave recipe but baked it instead. I used Bio X Power Whey Isolate , but using any Whey Protein will work. I love Iso Sensations 93 (see my review HERE) , Isoflex , Strive's Pro Isl etc. 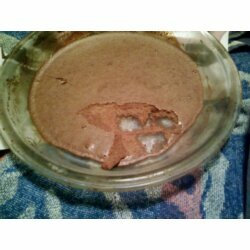 I also used Chocolate in this case, but use any flavor you have! Obviously, you can add ANY add-ins you want. I normally add 4Fiber , Fibersmart , Wheat Bran , Psyllium , Walden Farms Caramel Syrup , Walden Farms Jams , Walden Farms Peanut Spread , , and Walden Farm or Sugar Free Products/syrups , yogurt, pumpkin puree, cauliflower, coconut , flax , almond meal , chia , coffee , grated apple/carrot, banana's,oat bran , oats , diet pop etc. Sugar Free Syrup (I used Davinci German Chocolate Cake in this instance and Walden Farms Pancake Syrup ). Sweetener (I used Sweet and Low ). Mix Whey Protein (or any protein ) and Syrup , sweetener and cinnamon and stir. Add any add-ins that you want. Add Baking Soda (LAST) and stir. "Batter" should turn white and start to rise a bit. Pour into your baking dish and pop into a pre-heated oven for anywhere between 10-25 min (depends on how much protein you used and how many servings, depth of your baking dish etc). Key is to add less liquid. Not too watery. Thicker than pancake batter, but only marginally.